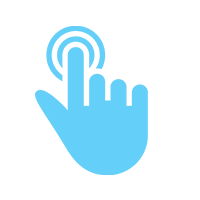 Aria click-to-call allows users to place a call with a single click on button displayed onscreen and connect it to the intended number. This facility hugely used for pay-per-click ads, websites, blog pages and map listings. This facility encourage customers to get in touch with the business and enhances customer engagement. You can also divert the route of calls to any specific division or department to sort all calling process efficiently. With Aria click to call facility, you can utilize this option into your websites, email blasts and campaigns.